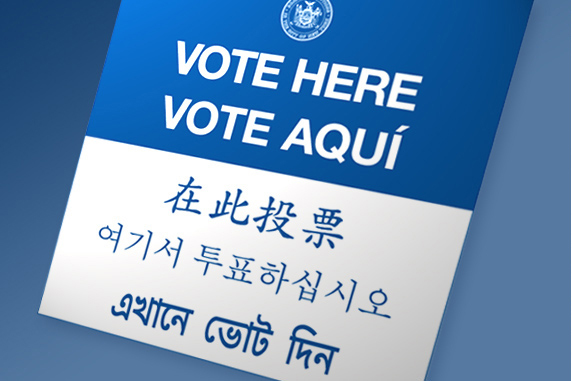 The Asian American Legal Defense and Education Fund (AALDEF), part of the New York Voting Rights Consortium, sent a letter to leaders of the New York State Legislature calling on the adoption of measures to protect the right to vote for all eligible New Yorkers. Several election reforms, such as early voting, no-excuse absentee voting, and automatic voter registration, would address the perennial problems of low voter turnout and discrimination against minority voters at the polls. You can read the letter here. In addition to AALDEF, the New York Voting Rights Consortium includes the NAACP Legal Defense and Educational Fund, Center for Law and Social Justice at Medgar Evers College, Latino Justice PRLDEF, and National Institute for Latino Policy.